My name is Vince Seay, Talent Expert for my company, A1 Talent Success! This page is for Athletic Talent wishing to play at the collegiate level in sports. I have over 40+ combined years of working with Talent, having helped numerous athletes get into NAIA, NCAA (both four year) and NJCAA (two year) schools on both athletic and academic scholarships. When I speak, I am speaking from experience. For the sake of brevity, if I say "you" or "your", I am speaking of you as an Athletic Talent 18 years or over. If the Talent is a minor, I am speaking to the parent or guardian of the Talent about your minor's athletic career. Check the links at the side of this page to give you more information in properly marketing you or your child's Talent and what is necessary in getting to move to the next level. As you browse this site, any words or phrases that are underlined, will link to another website that will have further explanation of the topic at hand. Understand, any outside links that I have to other websites are not under my control, so please let me know of any dead or misappropriated links. If you are here, it is because you want to go further in your athletic career. Unless you are a blue-chip athlete who is receiving dozens of scholarship offers, you MUST be pro-active in marketing yourself. One of the easiest ways to do this is to utilize our Sports Management service such as what we have here at A1 Talent Success! As far as scholarships go, all sports are not equal. Not all sports will give each athlete a full ride. Click here [pdf.] to read an article from the South Florida Sun-Sentinel, which explains the inequities in college sports scholarships. 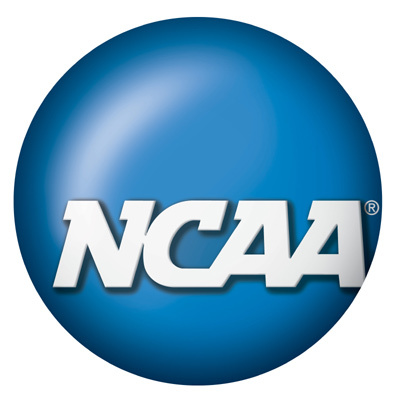 Click here (.pdf) for the differences between NCAA Division 1, 2 and 3. NAIA and NJCAA schools do give out scholarships, but most are not full athletic scholarships. Many are a combination of athletic and academic scholarships, grants and need based financial aid. If there is one very important thing that I speak to parents and athletes about in getting a scholarship, it is, "start as early as possible". How early? We would say elementary school! That's right! In elementary school, I begin to let Talent know that school is the number one priority! Make sure that study times are set up during the evenings on school days and that homework is done prior to any leisure activities. One important thing to understand early, is that WORKING HARD at important activities is going to be the key to success! If your talented athlete is in middle school or beyond, or you are an older athlete, it is not too late in learning new habits. From now on, I want the Talent every day before they go to bed, to say, "Did I work hard today in getting me closer to my goal? If the answer in six of the seven days is not "yes", then the chances of goal attainment is severely diminished. Success does not consistently go to those that do things "quick and easy". Quick and easy is how you bake a cake, not craft a successful lifestyle! So, you want a scholarship and need to know on which areas you need to work hard? Read below. The first two areas are 1a and 1b because you need to do both in order to get any athletic scholarship. If you are like 90% of athletes and have not received unsolicited offers of scholarships, you need to show universities that if they gave you a scholarship, you will be able to handle the academic workload. It is a tough assignment to keep your grades up and play at a high national level in sports. Many athletes go to universities away from home and don't have the comforts that go along with being home. Add to that, stress from pressure and unfamiliar surroundings without family support nearby, and it is no wonder that grades go down. Universities will look at your grades now and if you cannot get, for example, at LEAST a 2.8 GPA (C+) now at home, you probably won't be able to do it away from home. Click here for a great article from Thomas Emma, former Duke Basketball player, on the rigors of a student athlete's life. If you're seriously interested in playing NCAA sports, you must realize that only a small fraction of high school athletes make it to play at that level. Take a look at this page to see just how small that percentage is of high school athletes to the NCAA. In basketball, for example, only about 3% (three out of every hundred) of all high school varsity seniors go on to play NCAA basketball at some level. So first and foremost, you must be able to play competitively at the NCAA level. You must have the skills to show a college recruiter that you are worth the university spending upwards of $160,000 to pay for your education. Being able to play in the park and beat up on some scrubs does not mean that you are NCAA material. We don't know how many times we have seen the pick-up game warriors and dribble masters play ball, then heard someone say, "Aw man...he could play college anywhere...and maybe the NBA!" First of all, most can't play college ball because they don't have the grades or are able to keep their grades up during a harsh season. (See article in 1a above.) And even if they could, most of those wouldn't be able to work within a structured system and handle the discipline that it takes to play and live a college lifestyle. And finally, many of these guys are great because there are no referees to call fouls and rule violations. Second, what should you do to insure that you are competitive enough? Play high school ball, listen to the coaches, attend quality camps and clinics, work with private coaches if possible and train, train, train! Talk to others who have played at the college and pro level and ask them if you are competitive enough and what you should do to get better. Then DO IT!! Remember, and this is very important, to get a scholarship, YOU DON'T HAVE TO BE THE BEST, JUST BE ONE OF THE BEST! You need to work hard on believing in yourself. The road to a scholarship is not going to be smooth or easy. There may be times that you will hear people say that you're wasting your time. Don't listen to them. Getting a scholarship is your goal not theirs. They don't have to live your life. There are so many "haters" out there that get pleasure in seeing other people not make it. Then, if you are fortunate enough to succeed, they will then say, "The only reason I told you that you couldn't make it is because I didn't want to see you work so hard only not to make it!" Now, that makes absolutely no sense! So we guess, according to the haters reasoning, people should not have dreams and aspirations because if they don't achieve them they will be crushed. It's so silly. There are countless things that I have attempted and did not succeed in and I never got "crushed". It's all part of life, winning and losing. You will never win if you don't play the game; I might lose, but I always play to win! In doing anything, you must have a plan. If you work with us at A1 Talent Success!, we will teach you the important aspects of contacting universities (or we may do it for you) and having them get interested in you. The number one thing in contacting them is to always tell the truth! Don't ever exaggerate your stats or other information. If you expect the university to be truthful to you, you need to do the same. Don't ever waste anyone's time by having them come to see you expecting an all-star player only to see an average joe. That is disrespectful and wrong. If I am contacted by universities and am told that any of my clients are not truthful with their info, I will terminate my relationship with that individual immediately. You must also be diligent in working on contacting universities. Of course, there are going to be the favorite universities that you have considered attending. But, realistically, you may not play the position or have the skills that they are looking for. You most likely will have to expand your search to other universities in other areas of the country and in other divisions. We all would like to think that we are Division 1 material, and we may as well be. But, we may also have to play in Division 2 or perhaps Division 3 to get serious playing time, then get noticed by higher Division schools. If it is your wish to transfer, then you can do so at that time. However, there are two important facts that I want you to remember. One, and most importantly, you are working to get a college scholarship so your education is paid for and you can receive a degree! Don't get so caught up in the prestige of a certain university or division, that you neglect others and end up with nothing. Don't neglect NAIA or NJCAA schools because they may not have the prestige as some NCAA schools. There are some NAIA athletic programs that are just as good as or better than some NCAA Division 1 athletic programs and many NJCAA schools can compete on the high NCAA level as well! Do your homework! If you are financially well off and can afford to pay for the education to that university that you love and want to go all or nothing in your selection, that's fine. But if you really need to get your education paid for and want to play ball while doing it, widen your horizons and apply to every school that fits your criteria. Two, consider playing time. You may be good enough to attend that prestigious school, but if you probably will sit the bench, you might consider going to another school that will give you playing time. If the coach is interested in you attending his university on a scholarship, ask him if he feels you will get good playing time. If you are fortunate enough to have other options, you don't have to tell him that you are considering going elsewhere if you don't play; it's just that you would like to know what his plan is for you. As long as you are paying for all expenses, you may attend as many college campuses as you like (See the link to the Guide for College Bound Athletes on left for more info on the limit on paid college visits). Check out numerous colleges and universities and find the one that is most interesting to you. In all, we at A1 Talent Success!, hope that we have impressed upon you the importance of working to get yourself that scholarship. There are so many scholarships out there and if you have the skill and athleticism to play at the college and university level, you need to apprise yourself of every opportunity to get your college paid for and play at the same time! We at A1 Talent Success! look forward to serving and helping you, become one of our successful Athletic Talent! Give A1 Talent Success! a call or detailed text in the U.S and Canada at (833)218-2536 or Internationally at 1(754)999-6884. Make sure you explain about the athlete, their age and what they want to accomplish. For more information on both our SPORTS TALENT services, click here. As Talent, your success may vary. Success depends on many factors including but not limited to ability, determination, self-discipline, self-confidence, level of sacrifice, education and/or third party help in achieving said goals. A1 Talent Success! is in no way guaranteeing that you will achieve the level of success that you desire, but only that Vince will work with and assist you in achieving your desired success goals. Prices for Talent Services vary depending on how much work is involved in working with Talent. Price will be quoted prior to beginning service. NCAA link above has all the info you will need on recruiting and other issues pertaining to an athlete qualifying and playing NCAA sports! Working through the maze of college eligibility can be VERY CONFUSING! If you have not done so already, you may want to consider working with us at A1 Talent Success! We at A1 Talent Success! can help you get yourself or your child ready to play college sports and even assist you in receiving a college scholarship! We will be able to assist you by working with you in every aspect of your amateur sports career; helping you pick that good college and assist you in receiving that scholarship. Call or text A1 Talent Success! in the U.S. and Canada at (833)218-2536 or Internationally at (754)999-6884 and let us know that you want to get started NOW! The NAIA link above will give you information on NAIA sports and the schools that comprise it. Click here for information on the NCAA ELIGIBILITY CENTER. Here you will be able to get even more info on NCAA sports, schools and your eligibility. Click here for information on the NAIA ELIGIBILITY CENTER. Here you will be able to get even more info on NAIA sports, schools and your eligibility. Click here for information on NJCAA ELIGIBILITY. Here you will be able to get even more info on NJCAA sports, schools and your eligibility. 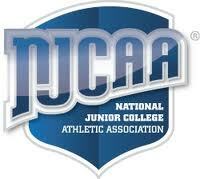 Junior College is a great place to begin your college sports career! Click on the NJCAA logo above to go to their official website and learn more! A1 Talent Success! Sports Superstars!